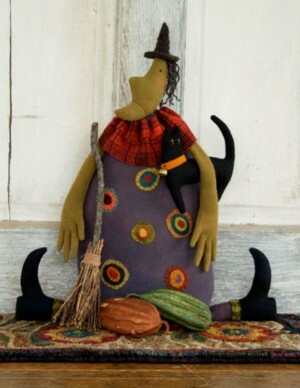 This 19" witch is made using fetled wool fabric.. Her hat is felted by hand with wool roving. The box bottom is weighted with sand.